An upcoming marijuana business conference will, to NBA fans, feature a very familiar face. 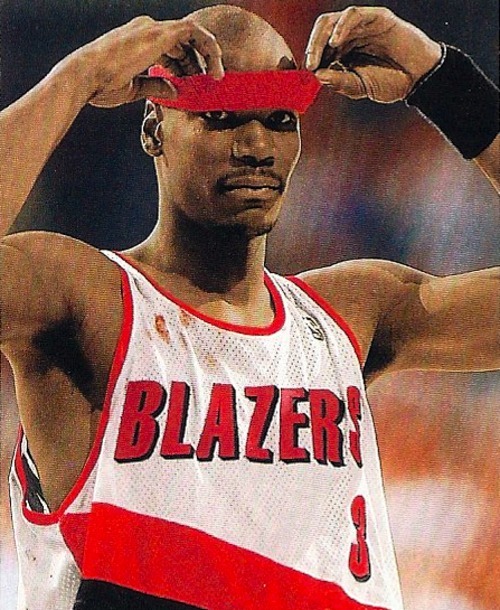 The 2016 Cannabis Collaborative Conference, which takes place Feb. 3 and Feb. 4 at the Portland Expo Center, will host former Blazers great Cliff Robinson. The former NBA All-Star has become a cannabis advocate and will address the expected crowd of 2,500 attendees. But, to many, it will most of all serve as the emergence of a former high-flying athlete as an industry champion. Robinson, who spent eight years with the Trail Blazers, is likely the highest-profile athlete, active or retired, to endorse the use of cannabis. Along with a set of business partners, Robinson plans to open a grow operation in Oregon. He’s hoping to have product ready by the end of the year. The conference will provide a chance for Robinson — who played 18 seasons in the league, made the NBA All-Star team in 1994 and was also a contestant on the CBS show “Survivor” — a chance to rebrand himself. In at least one sense, that’s spot on: Robinson agrees that football players or others who engage in contact sports might do well to treat themselves with cannabis as opposed to prescription painkillers. While Robinson wouldn’t venture a guess as to how many NBA players use marijuana, it’s logical to assume the number is substantial. There are, though, many who do take issue with pot. For one thing, the NBA’s collective bargaining agreement, which sets player and salary terms, calls for heavy suspensions — five games — for players who test positive for the substance on three occasions. Another five games are added to the suspensions for each subsequent violation. The penalties are imposed even if players in states like Oregon and Colorado where cannabis is legal test positive. Robinson himself was, in 2006, disciplined by the league for a positive marijuana test. “There are a lot of things that have to fall into place before” cannabis isn’t frowned upon in the NBA, Robinson said. “We can continue to break down the walls of the issue. As far as his new role, Robinson said he’s always advocated for cannabis. He wants to spread the message that the substance isn’t a gateway drug to harder materials, such as cocaine. As such, he’s also “a businessman trying to start a new company.” He has a business plan, but plans to ramp it up slowly as legalization takes hold in Oregon. The products created from his company’s grow operation would be used in medicinal items such as topicals and rubs. Robinson said the business would be based in Portland.